Pick and choose which 400N components your company will use. Set your pricing adjustments and have any changes stamped into a log. Add customized extra charges to further customize rates and services. Export a copy of this information directly into Excel when needed! Date and time stamp any tariff price changes exactly when they happened. See the weight, cubes, price per pound, price per cube, and the effective range of your rates. Best of all, filter out the date range required and print for DOT! The Tariff Management details will auto-fill city and state from a zip code. 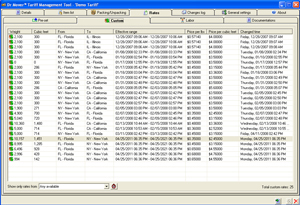 Capture client phone numbers and complete address. Utilize the 400N tariff, price per pound, or price per cube. 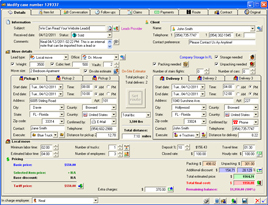 Print or export all the move details for the client. Place all of your trucks into the system. Input truck type, capacity, license plate, registration, and insurance information. Define services to have a better understanding on how much each truck costs to maintain. Also, with the trucks being into the system they can be dispatched to jobs and see job history! 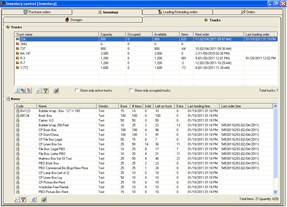 Create customized reports with data fields you select. Define the criteria to retrieve the exact information needed. 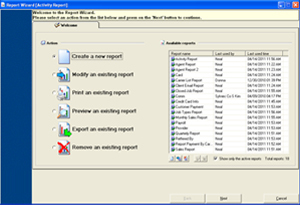 Save your reports for continuing use. 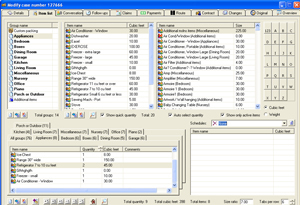 Export your data into Excel or view it directly in the software! Control any data you want to see. Filter your information by time, status, lead type, advertizing source, truck, and employee. Choose and arrange what data and how it will be displayed. Move jobs to other employees, statuses, and offices! The Lead Manager will give any user their own customize view of the system! Easy to use inventory list that be broken down into groups. 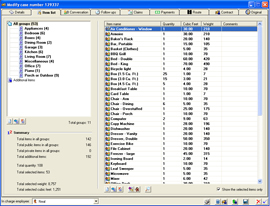 As items are selected the system will show weight, cubes, and quantity. Include notes on items that have damages or special needs. Using the Dr. 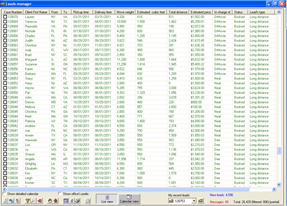 Mover Standard Item list will help reduce mistakes and improve on the accuracy of your estimates! Imagine the ability to track material usage in your warehouse and trucks. Know when your supplies are low and when to re-order from your vendors. 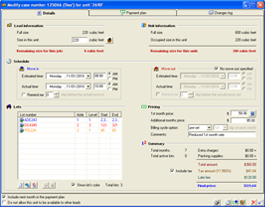 Compare your retail and wholesale pricing to guarantee maximum profitability. The Dr. Mover Inventory Asset Management software can give you this and more! Move your client’s into storage and pro-rate the first month’s rent. Use advanced storage promotions to get more volume. See current and future monthly payment plans. Define a billing cycle and attach lot sticker information. The Dr. Mover Storage Unit details gives your customer everything needed to ensure best service! 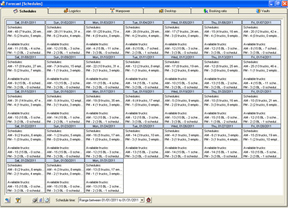 Expand a single day and inspect any schedule in fine tuned detail. 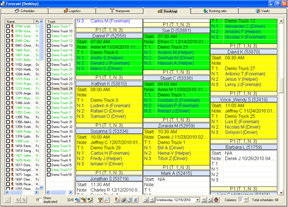 Change the start time of the job, add driver’s notes, use colors to know started and completed jobs, verify men and trucks. In the Dr. 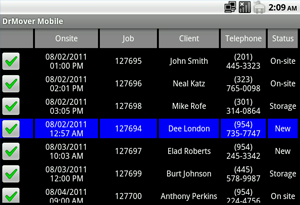 Mover Desktop you have the power to know every move of your guys in the field! We offer the most technologically advanced moving software in the moving and storage industry! We will take your moving company to the next level and completely streamline your whole company’s operation to save time and money. Customize the many features of the software to fit your business structure. If you have been in business for a long time you clearly have a model that works, so why reinvent the wheel if you do not need to? By using the powerful software tools that Dr. Mover gives your moving company, you will be able to see every aspect at a click of a button. Jump to sales and see booking limits, or look at a daily calendar to see today’s jobs. Glance at the overview and see all storage availability and occupancy. Find customers from any point in time to see their complete move history events. Allow your customers to update their own items list and customer information, or observe returned surveys to know the customer’s thoughts about their move experience. Enable employee settings to enhance your accounting personnel to work easier with less mistakes. Get Dr. Mover software in your corner now, and get the total company visibility you have always wanted! Using Dr. 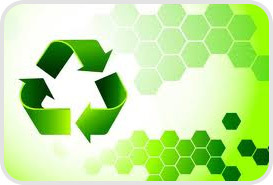 Mover will also reduce your carbon footprint in the world and help you “Go Green” because printing is virtually eliminated! In this day and age we want to do the best for our planet resources and environment. Generate Email campaigns to catch your client’s attention while saving money on paper and ink. Have your customers utilize Dr. Mover’s electronic signature feature to digitally sign their paperwork and thus removing the need for them to print and fax. We have different products and pricing solutions to support any sized company from a one truck one employee mover to a huge sized moving company or van line where seeing your whole fleet and operations in real-time is mandatory. The Dr. 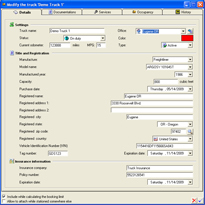 Mover Tariff Management software is provided for companies that are only looking for tariff publication and the ability to document tariff changes. If tracking warehouse supplies, supply usage, truck materials, and when to order more stock is important to your company then the Dr. Mover Inventory control is right for you. Are you a small to medium sized moving company that needs an affordable, and sturdy moving software yet easy to use? Then the Dr. Mover Standard Edition is what you need. For medium to very large moving and storage companies that demand on-line payments, automatic estimates, extensive fleet dispatching and tracking, automated payroll, intricate CRM, integration with accounting software, and in-depth reporting company wide, then the Dr. Mover Corporate Edition is what you have been dreaming of. Here at Dr. Mover we offer the best support in the moving industry ensuring that each company is trained and guided to getting the best performance out of the software. We invite you to see a live demonstration of Dr. Mover so you can see first hand the capabilities and flexibilities that the software offers. We are confident that once you see what our software offers and can deliver, that you will not be happy with any other moving software!